Of all the milk drunk in the UK, dairy milk is by far the most popular. Milk is an excellent source of protein, vitamins, minerals and calcium, all of which are essential for healthy bones and teeth. But not everyone can drink dairy milk. For example, those who suffer from dairy intolerance, allergies or with special dietary requirements. Because milk is so versatile, many people choose to switch to a dairy milk substitute. While Soya milk is often the first alternative option that people try out, there are in fact a number of alternatives to dairy milk which are completely dairy free. 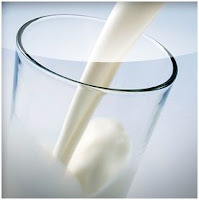 And so as not to lose out on those vital nutrients, most are fortified with added calcium and other essential vitamins. Here's a look at some of the different types of dairy milk alternatives available in the UK. Soya milk is a popular dairy milk alternative and is a suitable alternative for those with a lactose intolerance as well as vegetarians and vegans. A soya alternative to milk with calcium and vitamins. Lactose, dairy and wheat free. Free from artificial sweeteners, colours or preservatives. Can be used as part of a balanced diet from 6 months of age. Suitable as a main milk source from 2 years. Nutrition Information per 100ml: 44 calories, 3.3g protein, 3.1g carbohydrates, 2.9g sugars, nil lactose, 1.9g fat, 0.3g saturates, nil cholesterol, 0.6g fibre, 0.08g salt. 120mg calcium. Ingredients: Water,Hulled Soya Beans (6.5%), Apple Extract, Acidity Regulators (Monopotassium Phosphate, Dipotassium Phosphate), Calcium Carbonate, Maltodextrin, Sea Salt,Stabiliser (Gellan Gum),Vitamins (Riboflavin, B12, E, D2). Kallo Organic Soya Drink, Soya Soleil, Delamere Soya Unsweetened. 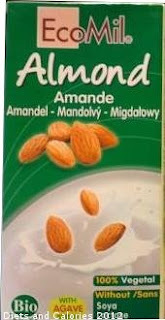 Almond milk is a good source of protein and low in saturated fat and can be used in place of dairy milk in most instances. It’s suitable for a wide range of dietary requirements including those with a gluten allergy or lactose intolerance as well as ideal for vegetarians and vegans. Nutrition information per 100ml: 46 calories, 0.9g protein, 5.4g carbohydrates, 3.8g sugars, 2.1g fat, 0.2g saturates, 0.8g fibre, 0.1g sodium. Dairy, gluten, casein, lactose, soya free. Low cholesterol, organic. Ingredients: Filtered water, almond* (7%), agave syrup*, corn maltodextrin* (*from organic farming). 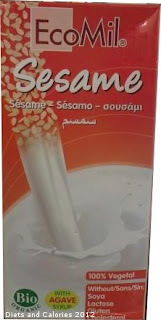 Rice milk is suitable for people with allergies, those with a lactose intolerance, vegetarians and vegans. This milk makes a good replacement for semi-skimmed or skimmed milk. Not suitable as a complete milk food for children under 2 years. Nutritional information per 100ml: 47 calories, 0.1g protein, 9.4g protein, 4.0g sugars, 0g lactose, 1.0g fat, 0.1g saturates, 0mg cholesterol, 0.1g fibre, 0.05g sodium, 120mg calcium. Ingredients: Water, Rice (14%), Sunflower Oil, Calcium Carbonate, Calcium Phosphate, Sea Salt. A dairy free alternative to milk and a natural source of omega 3. Hemp milk is made from natural hemp seeds and is suitable for vegetarians and vegans. Example: Good Hemp Milk Original. 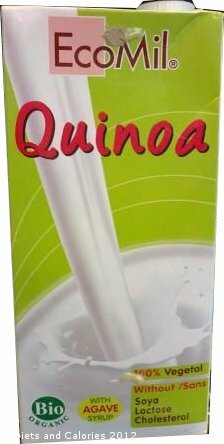 This milk is enriched with calcium and vitamin D2 and is Vegetarian Society approved. Good Hemp can be stored at room temperature until opened, when it should be stored in the fridge and used within 5 days. Free from artificial colours and preservatives. Free from dairy & Lactose, soya, gluten, genetically modified ingredients. Low in saturated fat. Nutrition information per 100ml: 39 calories, <0.1g protein, 3.2g carbohydrates, 1.6g sugars, nil lactose, 2.5g fat, 0.2g saturates, 0.4g omega 3, 1.3g Omega 6, <0.1g fibre, 0.05g salt, 120mg calcium, Vitamin D2 0.75 ug. Ingredients: Water, Hemp Extract (2.5%*), Rice (Syrup Powder, Starch, Flour), Grape Juice Extract Concentrate, Calcium from Seaweed (Lithothamnium Calcareum), Emulsifier (Sucrose Ester), Sea Salt, Natural Flavouring, Vitamin D2, *Equivalent to 10% Hemp Seed. Oat milk is dairy, lactose, soya and cholesterol free and is suitable for vegetarians an vegans. It does contain gluten so isn't suitable for those with a gluten intolerance. Oat milk contains no calcium, so ideally choose those which are fortified with calcium and vitamin D.
Example: Oat Dream. Original + Calcium Vitamin D2 and B12. 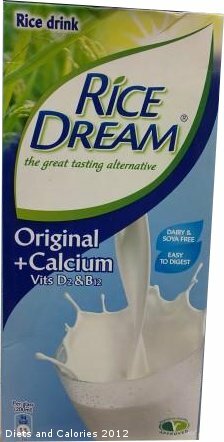 ‘Oat Dream is a great tasting and easy to digest alternative to milk and soya. It is made from the finest oats is naturally lactose free. Use it in place of milk or soya - on your favourite breakfast cereal, in tea and coffee, and in cooking and baking. Or try it on its own as a delicious chilled drink. Oat Dream contains as much calcium as milk, is a source of fibre, low in saturated fats, lactose free and easy to digest. Not for use as an infant formula. Suitable for occasional use by young children as part of a balanced diet. Nutrition information per 100ml: 50 calories, 0.6g protein, 8.6g carbohydrates, 4.5g sugars, nil lactose, 1.3g fat, 0.2g saturates, 1.0g fibre, 0.04g sodium, 120mg calcium, Vitamin D2 0.75 ug, Vitamin B12 0.375ug. Ingredients: Water, Oats (12.5%), sunflower oil, acacia gum, calcium carbonate, sea salt, vitamins D2 and B12. Contains gluten. Oatly enriched with calcium and vitamins. Hazelnut milk is made from blended hazelnuts and spring water with calcium and vitamins. It's low in saturated fat, lactose and dairy free. Suitable for vegetarians and vegans. Alpro milk can be introduced as part of a healthy balanced diet from the age of 1 year. Not suitable as a main milk alternative for children under 3. Nutrition Information per 100ml: 29 calories, 0.3g protein, 3.0g carbohydrate, 3.0g sugars, 1.6g fat, 0.2g saturates, nil cholesterol, nil lactose, 2.3g fibre, 0.13g salt, 120mg calcium. Ingredients: Water, Sugar, Hazelnuts (2.5%),Tri-Calcium Phosphate, Sea Salt, Stabilisers (Locust Bean Gum, Gellan Gum), Emulsifier (Sunflower Lecithin),Vitamins (Riboflavin (B2), B12, E, D2). Coconut milk as sold in cans or powder form, is commonly used as an ingredient in recipes rather than as a drink. However, it is also available in a ready to drink variety which is much lower in calories and can be used as regular milk. Example: Kara Original + Calcium Coconut Milk. This is a dairy free alternative to milk which is made with coconut milk and calcium. Contains 60% medium chain fatty acids (good fats). Nutrition information per 100ml: 27 calories, 0.2g protein, 1.9g carbohydrate, 1.6g sugars, nil lactose, 2.0g fat, 1.9g saturates, nil cholesterol, 0.1g fibre, 0.04g sodium, 120mg calcium. Ingredients: Filtered water, coconut milk 8.4%, grape juice concentrate, calcium phosphate, emulsifier: sucrose ester, sea salt, colour: natural carotene.Vitamin D2, Vitamin B12. Dairy, soya, lactose, gluten free. Low cholesterol, bio organic and suitable for vegetarians and vegans. Nutrition information per 100ml: 51 calories, 0.6g protein, 6.7g carbohydrates, 3.4g sugar, 2.4g fat, 0.5g saturates, 0mg cholesterol, 0.2g fibre, 0.01g sodium. Ingredients: Water, hulled sesame* 7%, agave syrup*, corn maltodextrin*, sunflower oil*. *from organic farming. Without soya, lactose, cholesterol. Bio organic. With agave syrup. Nutrition information per 100ml: 46 calories, 1.5g protein, 3.7g carbohydrates, 2.5g sugar, nil lactose, 2.8g fat, 0.7g saturates, 0mg cholesterol, 0.6g fibre, 0.08g sodium. Ingredients: Water, quinoa* (7%), agave syrup*, corn maltodextrin*. *From organic farming. Some of the more popular dairy milk substitutes are available in different varieties. This includes other flavours, organic and lighter versions. Switching from dairy milk to a milk alternative can take some getting used to. Although they can be used in the same way as milk, they also have their own unique taste. If you don’t like the taste of one, it’s certainly worthwhile persevering with different milk substitutes and brands until you find taste that suits you. Major supermarkets are stocking quite a few different types of alternative style milks and most have a good range of soy milk. However, you may find that health stores have a wider range of some of the less well known varieties like Sesame or Quinoa milk. If you're not close to a health store, you can find a good selection of alternative milks at Amazon (see below). They're all shelf stable so don't need to be refrigerated until after opening.